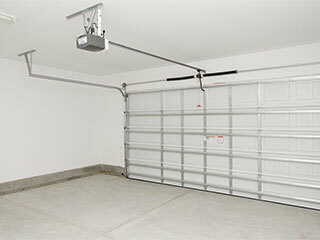 Genie is one of the industry's leading garage door opener manufacturers. Their products are known for their reliability and efficiency, as well as for their unique technological advances and special features. If you have a noisy door opener, getting a new Genie opener installed will feel like a godsend. The number one reason to get a Genie opener is their quality. This company's units are manufactured to perfection, and every part, from the motor gears to the pulleys and even the circuit board, is bound to last you for a very long time. The main downside of many off-brand products is you never know what you're going to get. You know it's likely not going to be great, though, and that's why Genie's products are such a great choice. You can count on them to last you for a long time, and to be efficient at their job. As far as safety is concerned, making sure your opener is capable of avoiding a lot of potential accidents is crucial. Genie openers use photo-electric eyes in order to detect an obstacle and then reverse the door's operation in order to prevent the panels from hitting that person or object. In regards to security, well, the Genie intellicode, which is rolling code technology that alters the communication codes between the opener and the remote/wireless keypad each time the door is used, is an excellent way of preventing even tech-savvy burglars form hijacking your access codes. Genie also allows homeowners to program their openers to have a specific closing and opening time, as well as adjust their closing delay, or even operate their garage door using a smartphone app. That's right. You'll be able to open and close your door with barely anything more than a swipe of your hand. Talk about "open sesame". There are many things to consider when buying a new opener. From the drive system and its noise and efficiency levels to all sorts of special features that you may want to get. Contact our experts at Garage Door Repair Arlington today and we'll help you find the perfect Genie garage door opener for your home.